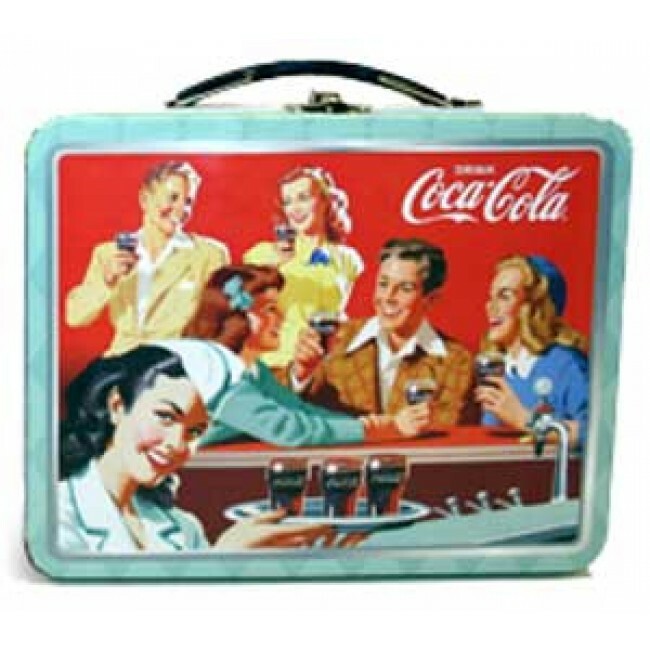 Wig out over this Coca Cola Large Carry All Tin Tote featuring a vintage image of friends enjoying a nice cold coca cola! Look nifty while storing your lunch! 7.8" x 6.6" x 2.8."